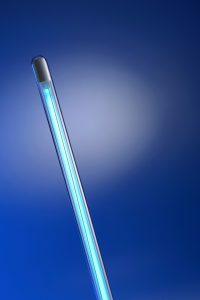 UV Lights Make Your Home Healthier | Clean Air Act Inc.
Summers in Oregon mean stifling humidity, allergens, and spreading bacteria, as well as high temperatures. That can cause significant problems in your household, from germs spreading to illnesses in sensitive family members. Luckily, there are solutions to such issues, and with the right team on your side, you can get them implemented now, before we get too much further into summer. UV air purifiers make a huge difference in fighting biological contaminants in your home. They’re installed at the apex of your ducts, using the regular cycle of your heating and cooling system to purify the air as it circulates. It’s comparatively inexpensive to set up and maintain, but the difference it can make in the quality of your life is profound. Here’s a quick breakdown of how it all works. If you recall high school science class, you know that ultraviolet light exists beyond our ability to see, and yet it appears in copious amounts in sunlight, which means it affects us every day. At the high levels in sunlight, it causes our skin to tan and burn. UV light bulbs use it in much smaller amounts, which makes it perfectly safe for humans and other multi-cellular organisms like pets. You’ve probably seen them in use at rock concerts or in dark rides at the amusement park: they make white clothes glow in the dark, an effect achieved when the UV light interacts with chemicals from your laundry detergent. What’s safe for us, however, is much less so for germs, bacteria and other unwelcome creepy crawlies. Just coming into contact with UV light will either kill them outright or fuse their DNA, rendering them incapable of replicating. If you place a UV light in the right spot in your home, it could do wonders. And that spot is the apex of your ducts. Centralized heating and cooling system pull the air in your home into the ducts and circulate it as part of their normal functioning. That makes the apex — the start of the duct system — the best place to use the power of UV light. The purifier forms a solid “sheet” of UV light across the width of the ducts: comprehensive and unable to be breached by even the tiniest microbe. Homes with infants, or who are expecting a newborn, who are more vulnerable to germs and bacteria than older children and adults. Homes with the elderly, who may similarly be vulnerable to sickness. Homes with residents suffering from asthma or similar conditions. Homes with people working in industries that leave them vulnerable to germs, such as the medical industry. To install a UV air purifier in your Beaverton, OR home, call the pros at The Clean Air Act today!